The South Seas may officially be the generic term for the whole of the South Pacific – with Melanesia, Micronesia and Polynesia. But often the South Sea is put on a level with Polynesia – a vast area in the Pacific with much more than 1000 islands and archipelagos, which stretches from Hawaii in the North to the Chilean Easter Islands and New Zealand. Exceptionally popular as charter beats in the South Seas are the archipelagos of French Polynesia (and here the so-called Society Islands of Tahiti and Bora-Bora) and Tonga. Especially Tonga is a challenging beat for experienced Yacht Charter crews: for one the Northeast trade wind usually blows with wind speeds of four to six and heavy swells, for the other there are plenty of lagoons on the islands around Tonga, which are inherently surrounded by coral reefs without buoys. Harbours and marinas are hard to come by; on the other hand there are countless solitary anchor bays – nature at its purest. When talking about the South Seas, absolute dreamlike sailing waters that are also adjusted to charter crews, sailors usually have French Polynesia with the archipelago of the Society Islands in mind: The main island of the Iles-du-Vent, the Windward Islands is Tahiti with the main town of Papeete; Yacht Charter crews mostly explore the Iles-sous-le-Vent, the Leeward Islands like Raiatea, Bora-Bora, Huahine, Tahaa, Maupiti or Tupai. Raiatea is the second largest of the Society Islands and the most important charter base. During a two weeklong trip, the Iles-du-Vent with Tahiti too can be included in the trip itinerary. A paradise for people, who are into snorkelling, is Tahaa, which is connected to the starting base of Raiatea via a lagoon with colourful glistening fish-shoals and white dolphins. Maupiti, a typical atoll-island, boasts unspoilt nature for the most parts. Bora-Bora with about 9.000 inhabitants is probably the most beautiful of the islands and together with Tahiti, the one that has been made accessible to tourism the most. The underwater world with coral gardens and an incredible amount of sea life in the large dreamlike bay is fascinating. Mountains and rainforest can be explored on a trip – via bicycle, bus or electric car. The most beautiful panoramic view can be had from Mount Otemanu. Lots of Frigate birds nest in a grotto on the mountain. 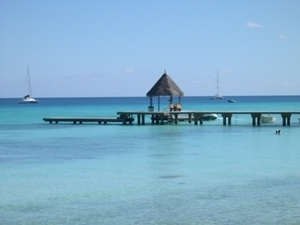 There is a natural underwater-park in the Southeast of the island, in Coral Garden and Haamaire Bay too is a snorkelling-paradise. Vaitape, the main town on the west side of the island has about 4000 inhabitants – opposite Teavanui Passage, the main passage of the lagoon, cruise liners too are lying in the roadstead. The bays with the most beautiful beaches are Poofai and Faanui; the most famous beach bar is the “Bloody Mary’s”. The Huahine-Atoll with about 6000 inhabitants consists of two volcanic islands surrounding a narrow canal and several “motus”. That’s the name here for the little reef islands. The village of Fare lures with Colonial flair. The Arrival to French Polynesia is organized via Papeete. The best season for these sailing waters with subtropical to tropical climate is from December until April. Since almost everything has to be imported from France – life here is rather expensive. Bora-Bora is considered to be on of the most expensive destinations worldwide. There are important yacht charter fleets with sailboats and catamarans for bareboat charters in French Polynesia that are not listed in our Yachtfinder – please ask for offers. 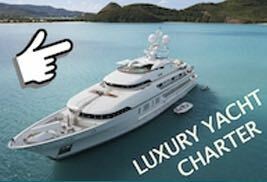 And of course we will be glad to send you offers for the most beautiful luxury charter yachts with crew in this area as well.